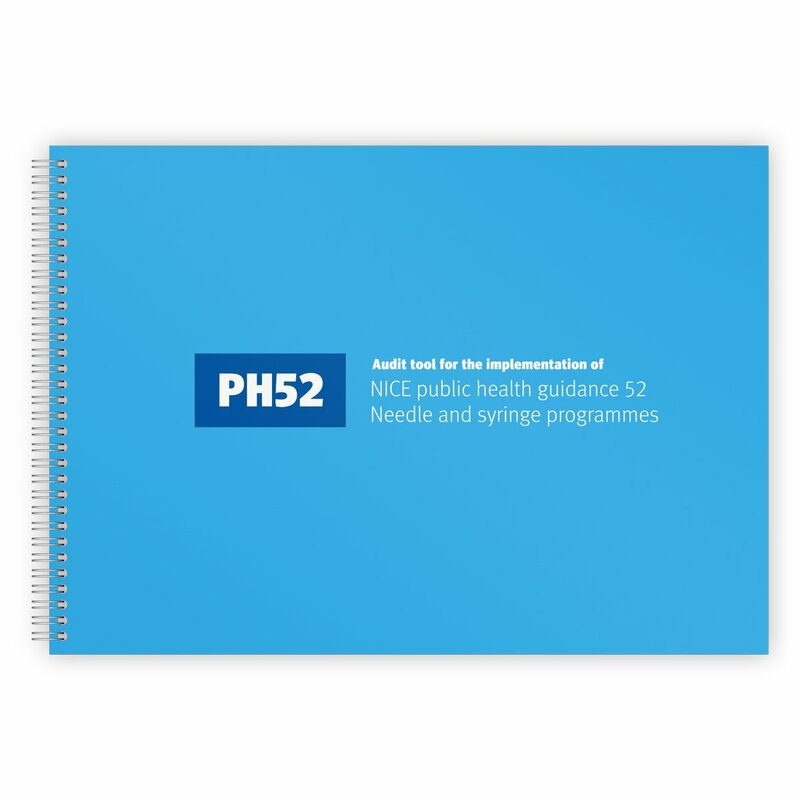 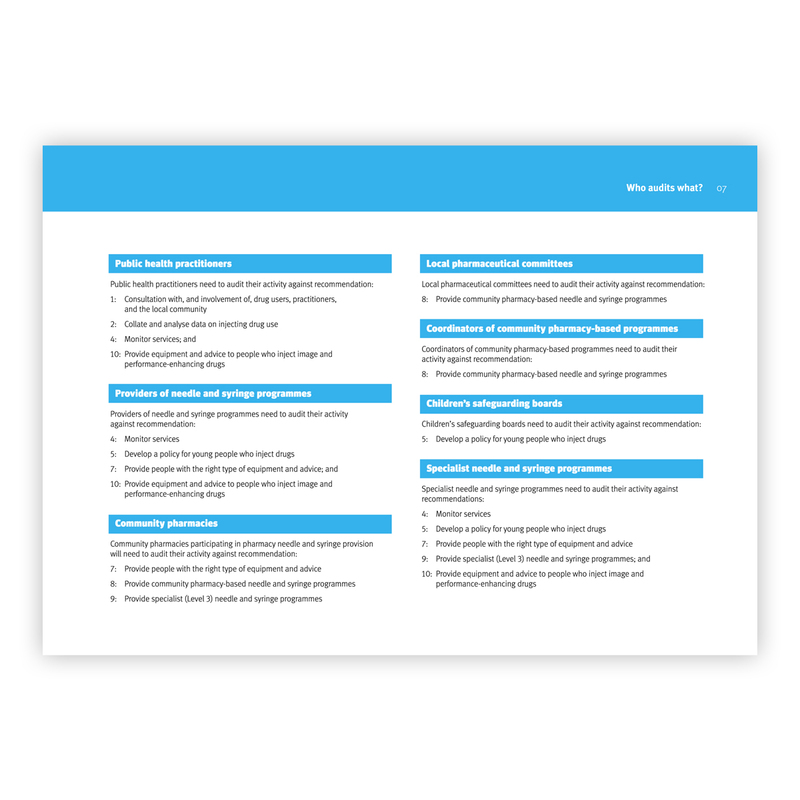 Audit Tool workbook – formally endorsed by NICE – designed to enable you to easily and objectively measure compliance with NICE Guidance PH52: Needle and Syringe Programmes. 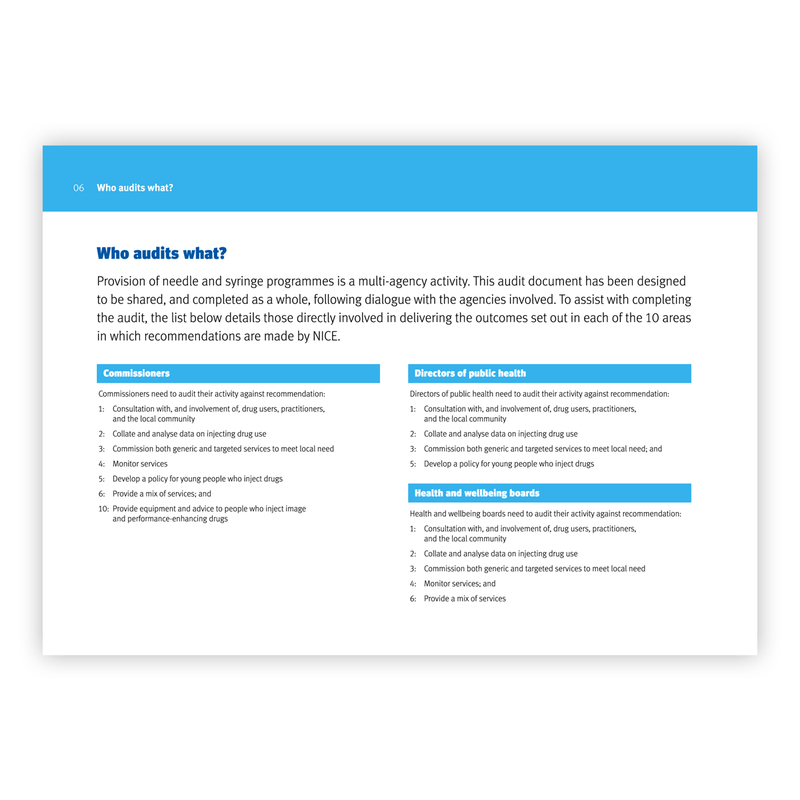 Identifies and records actions that achieve compliance across more than one recommendation. 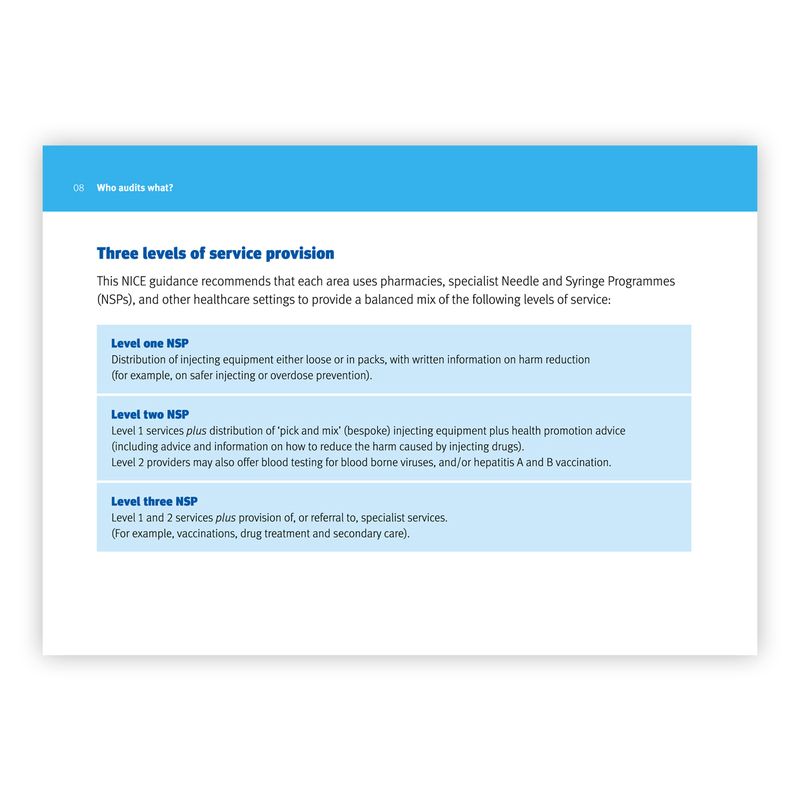 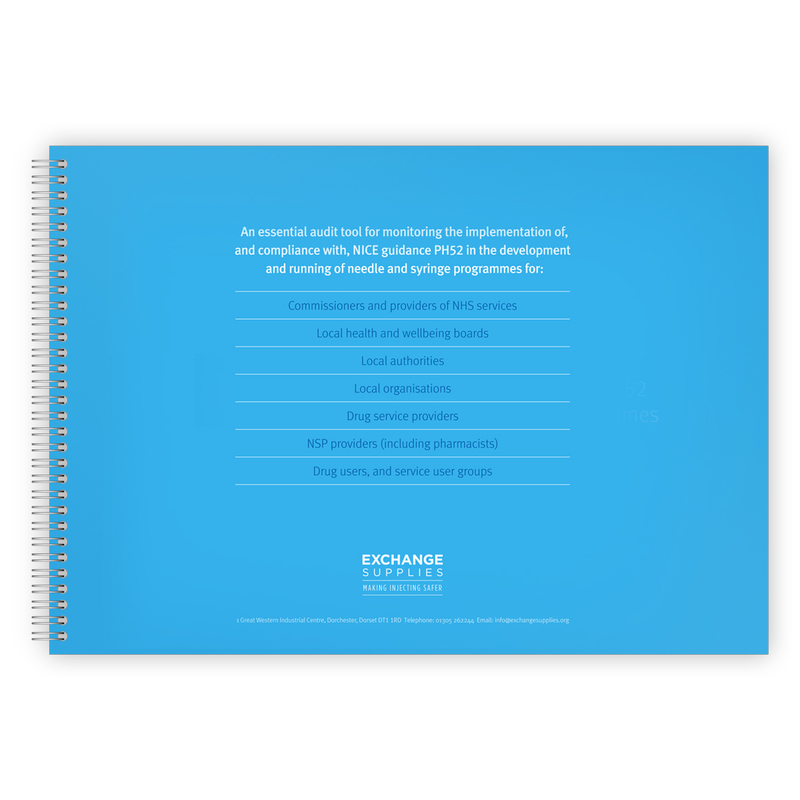 Written originally for commissioners of services, it will be of use to everyone involved in the planning, funding, and delivery of services, and for those advocating for change. 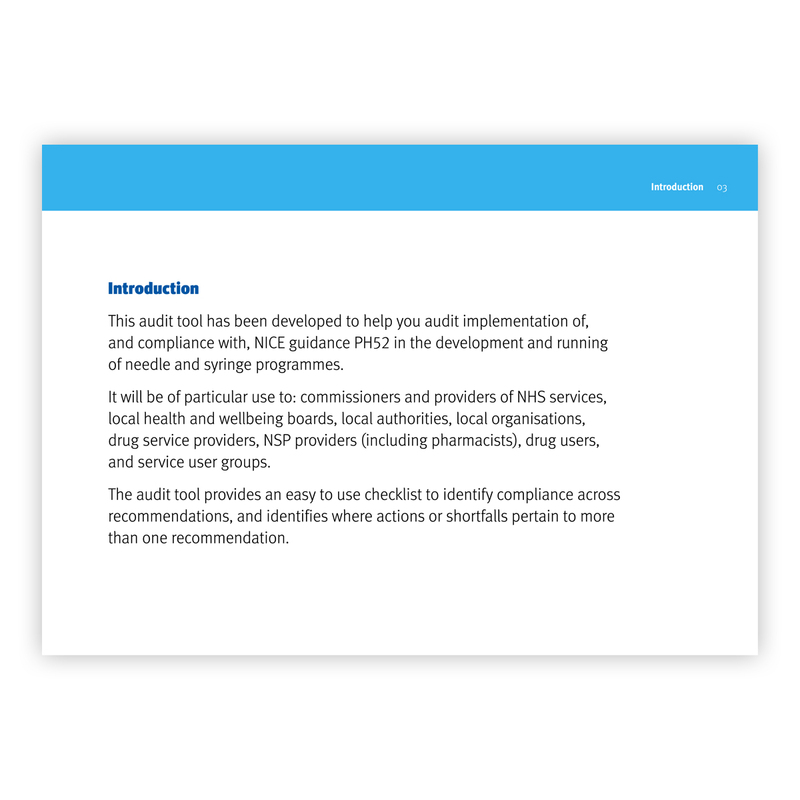 We no longer have hard copies of the audit tool, but if you click on the 'read online' link below you can print out the pdf.